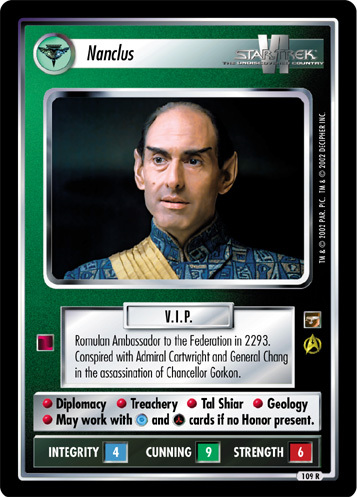 Romulan Ambassador to the Federation in 2293. 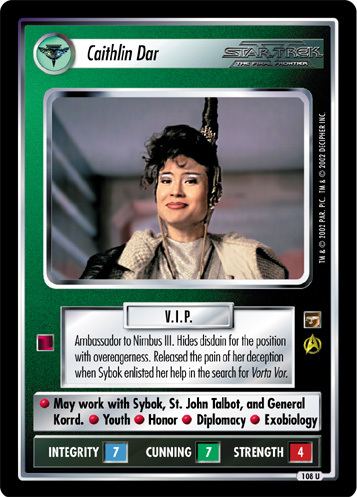 Conspired with Admiral Cartwright and General Chang in the assassination of Chancellor Gorkon. 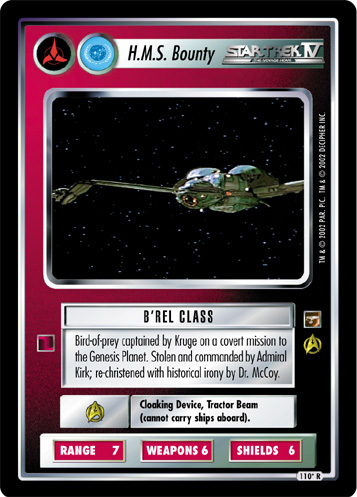 • Diplomacy • Treachery • Tal Shiar • Geology • May work with and cards if no Honor present.